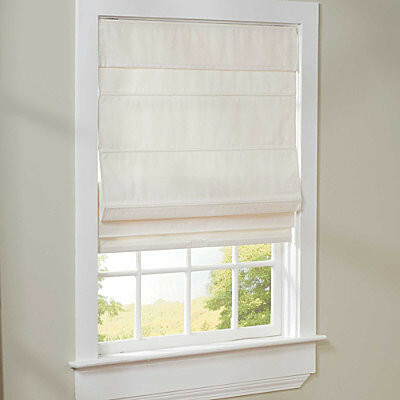 Cordless Roman shades are quite a popular choice for reasons that pertain to safety and convenience. It also gives a clean-looking style because there will be no messy cords hanging about. It definitely provides a more attractive appearance to the room. 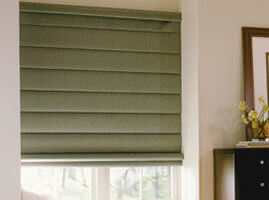 The reason to choose cordless roman shades is that there is no risk of children or pets getting entangled in the cord. They also eliminate the need for rods and/or cords that just add visual clutter. The way it works is simple; you can simply grasp the bottom of the blind and move it up and down to get the desired position. You don’t have to yank it about either; gently tugging or pushing the shade to the required height is enough. The shades come in a full range of opacity and light control, including sheer fabric, semi-opaque, and opaque. So you can use blackout fabric to block the light and get more privacy or use a lighter fabric to let more light in. For maximum darkening of a room, use an opaque roman shade with black out linen. Since roman shades have a very versatile range of light control, they can be used in every room of the house, they’ll be especially safe for use in the kids’ rooms. The appealing clean lines of these cordless shades also insulate your room, saves on heating costs as well as cooling costs. You can use find as many varieties in design and style in a cordless roman shade as you would in regular ones, in order to match the décor of the rest of your furnishings. They are quite easy to install too, giving a modern edge to your room. The effortless operation coupled with the safety features makes these cordless shades a very good option indeed.